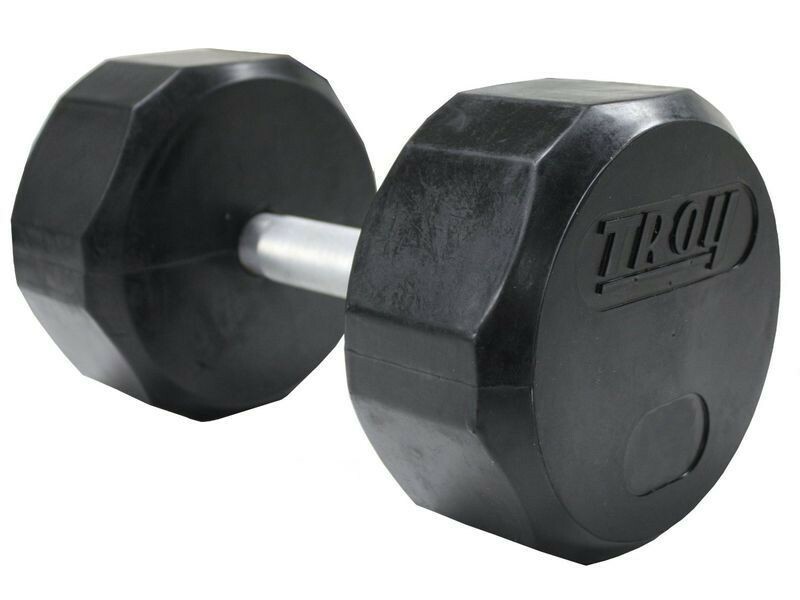 One individual dumbbell of specified weight. 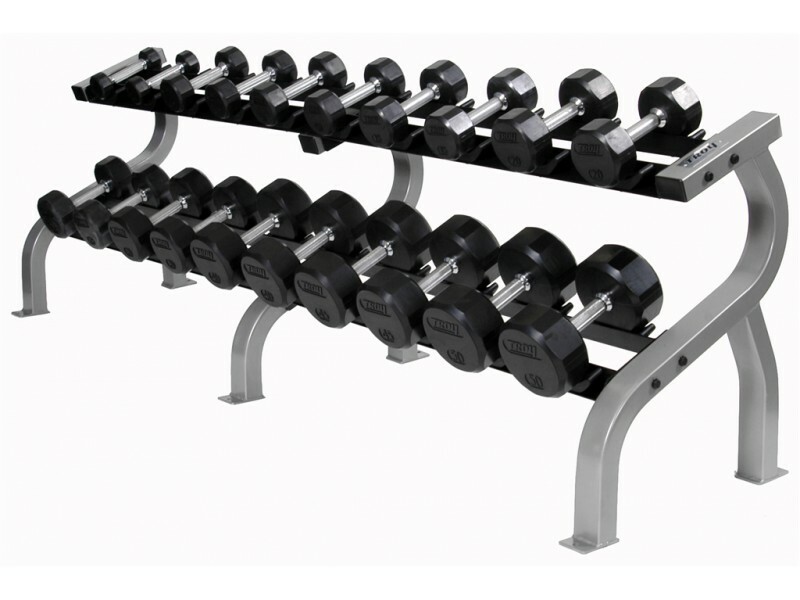 Choose from 3lb to 125lb. 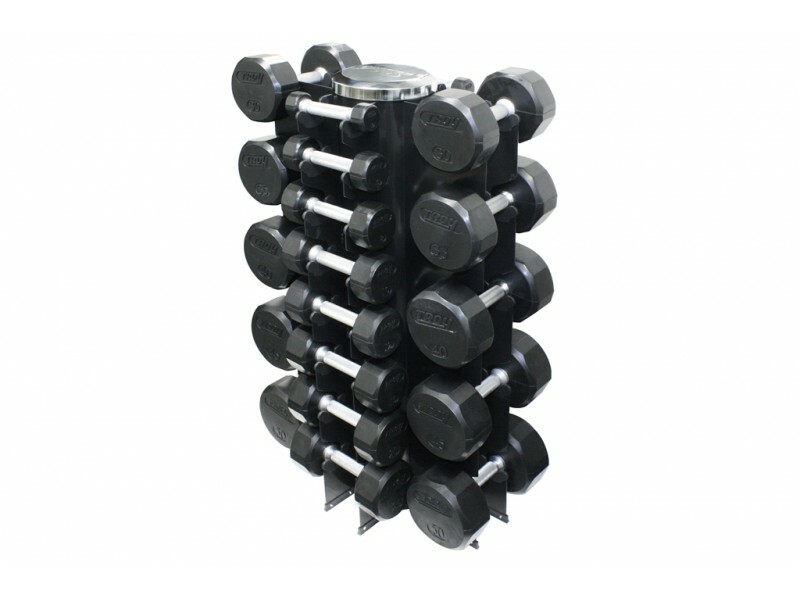 These dumbbells are extremely high quality and are suitable for any commercial gym. 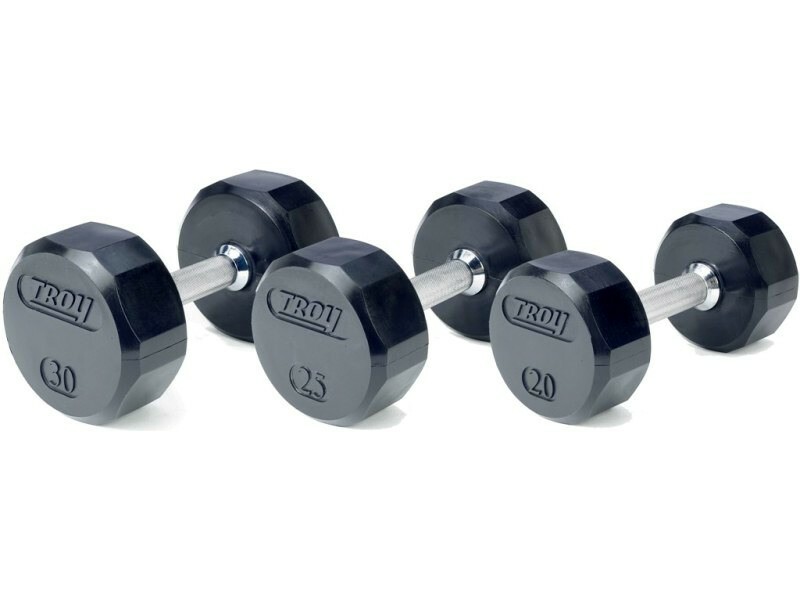 For the ultimate in zero odor, maximum durability, and heat and sunlight resistance, we recommend upgrading to the Troy Premium Urethane Dumbbells.